My colleague and I work in a particularly specialised area in our firm. There are the two of us, plus our director, who is not a specialist. My colleague, whom I will call Mary, recently returned from having her second child and asked to work 10 am til 3 pm, 5 days a week, which she got. So she’s down to, say, 60% of standard hours. She is out of work on the dot of 3, and as far as I know, she is not doing anything in the evenings — some client materials cannot leave the office, but she also does not seem to be answering any emails or doing any online research. Good for her, you might say — but the problem I have with this is the staff of my mini-department is down from 2 to effectively 1.6. The work coming in has not decreased at all, we appear to be booming. I have all my existing clients to work on, plus those of Mary’s who phone with urgent queries after she has gone, all those for whom some travel is required (including several who used to be in Mary’s portfolio), AND most of the new enquiries, since I am the person who is in the office at the end and at the beginning of the day. My “office hours” are 9-5:30 and before Mary went part-time, 85% of the year I would be out of the office by 6. Now? I’m working lunch and leaving by 8 at the earliest, plus my travel has doubled. I find myself becoming increasingly irritated at Mary, for assuming that she can leave on time and I will just deal with work that comes up when she is gone for the day. I have said to her on more than one occasion, “Look, I cannot do this for you. I have XYZ of my own to finish,” to be met with either “But my hours are shorter now” or “But if it does not get done we will lose the client.” And unfortunately, if the clients dry up, so does the job. I am even more irritated at HR and the overall head of our area, who agreed to Mary’s working part-time and told me that would happen, without apparently considering that that meant I would be doing not only my job but half of Mary’s. The director tells me that he had made the point that neither he nor I saw this as a workable solution — there not being sufficient “give” in a department of 2 for one to go part-time – but apparently the head and HR wanted the firm to appear to be family friendly. Both of us have asked whether in that case we can have another part-timer, which has met with baffled looks. I was offered the chance of taking on a graduate trainee in late summer/early autumn, but frankly that just sounds like it would be more work, since I would have to supervise and review, as well as doing all my own work. 1. Do you have any other suggestions? 2. Can you say “because there was a departmental reorganisation and I have twice as much work to do” when asked why you want to move on? 3. How do I avoid this in the future? First, try not to be irritated with Mary. While on the surface she’s the one who put you in this position, the reality is that it’s your employer who put you in this position, by giving her what she wanted without making any of the adjustments that most people would know would obviously be needed. Your manager then probably needs to say a version of this to her own manager, hopefully pointing out that if you leave and they have to replace you, the department will be handling even less work while the new person learns the ropes. And your manager needs to really push on this issue — it’s her job to push for what the department needs to function smoothly, and to explain it in a way that won’t produce baffled looks (i.e., explaining that neither of you see it as a workable solution isn’t enough; she needs to to show them exactly why). Now, I suppose you could talk to Mary as well — couching it in terms of explaining the problems you’re facing and asking if she has any advice. But keep in mind that it’s really your manager (and those above her) who bear the responsibility for fixing this. As for how to avoid it in the future … well, you can’t always. But you can ask how family-friendly policies are balanced against a team’s workload, and you can — always — look for good management that’s rooted in reality rather than in fuzzy thinking. Honestly, I would probably want to go to my boss one day and tell them “I have a family event at 6:30 tonight and I *have* to leave at 5:30, so I can’t do *any* of Mary’s work today” and show them what it actually meant to allow Mary to shrink her hours so drastically. Either your director (who you point out is not a specialist) would have to jump in and handle it, or Mary will have to handle her own workload that day, or else it doesn’t get done and the head and HR can see exactly what happens as a result (unhappy clients). I assumed that Mary’s salary had been adjusted accordingly (something that the OP probably wouldn’t know), but if it hasn’t, that’s incredibly screwed up. After I posted, I re-read and I noticed the OP mentioned that Mary was now part-time, so you’re right that salary has probably already been fixed. @Adam V: Don’t ever get lured into thinking you’re irreplaceable. People come, people go. Most companies still survive. @Wilton: That’s my point, actually – it’s not about *me*, it’s about them grasping the point that right now, they’ve got 1.6 people handling the work that had been done by 2 people. If I walk out the door, you’re down to 0.6 people. What is your contingency plan in that situation? There’s really no wrong answer there except “I don’t know”. Tell your clients that your overall response time will be significantly slower? Let go of some of the less valuable clients? Establish levels of importance, such that certain types of requests are handled immediately and others will have to wait? “Hire someone new” is not an immediate fix, because the clients will still have requests that have to be handled in the meantime. In my company, they say “just get it done”. I was thinking this post sounds a LOT like my company! People go part time, work from home, etc, and the worst part (for someone in my position) is they don’t tell their admins what their schedules are! There are a lot of companies (mine included) who do not care about wondering what they would do if I were to get hit by a bus tomorrow. They just do not ever think about it. If I were to get hit by a bus tomorrow, they would find a way to survive. Like someone said earler, don’t ever think you’re not replaceable. The woman who used to do my current job thought that by leaving she was “punishing” the company for overworking her and not ever giving her help, and she was wrong. When she left, they approached me for the job and offered me a 20 PERCENT pay increase to go along with it (which is more than the woman leaving was making). I, of course, jumped at the offer and I am still doing this job seven years later. My boss and I had to learn a lot of the job ourselves, but that actually turned out to be a good thing, because I was able to “tweak” things to do them like I wanted to. They don’t care how you do things as long as you get them done, and done correctly. I am positive that if i up and left tomorrow in a stressed out huff there would be 20 more just like I was that are ready, willing, and able to not only take my job, but do it well and not complain about anything. I love my job for the most part, but sometimes it can get stressful and overwhelming. But no matter how stressed out I get I do not whine and complain. That’s a really harsh but good point. Most businesses can’t stand to lose the extra clients but hiring another person in this particular situation might not make up for it. This is not Mary’s problem, it’s a management problem. Really, what are they expecting with 20% less manpower? Make sure your work doesn’t suffer. If the work on Mary’s side isn’t getting done, YOUR manager needs to make a decision on how to deal with it. If the work is getting done on both sides, upper management is not going to recognize there is a problem. The other side of the coin is you could work situation into more $$ on your side. yes, but she shouldn’t be working more than her 40 hours, for an extended time like this. It’s not fair for her family at home either. What if she has kids at home that now get to see her only 15 mins a night before bedtime. How is that family friendly?? Even if she doesn’t, she needs to explain to her manager that it’s not ‘family friendly’ for her. Well, you can’t make the “more money” argument without the “more work” component. That’s certainly a choice she has to make. Yes, yes, yes. I think this is a point worth making–that this is, in fact, an extremely family-unfriendly decision, because the organization has required an employee to give up home time. A truly family-friendly approach would mean the *company* supports Mary’s shorter time, not her unwitting co-worker. You do set precedent when you bend over backwards to accommodate this kind of situation. I’m not saying you shouldn’t have done it – who wouldn’t? But. Management sees that the work is being done. They don’t see that the employee is working until 8 pm every night. It just makes it harder to prove that this situation is unacceptable. The fact that management just automatically approved a busy full-time position to be reduced to part time with no discussion/plan makes me think they have no clue about what is entailed with these jobs and probably don’t care. I would definitely go to my manager and lay out the problem – the hours required, what happens when you are short staffed etc. I would also suggest that if they want you to continue doing the work of 1.4 positions they need to pay you that amount of money. Not really any helpful suggestions but I can’t believe they did this to you. Ah, the downside of setting precedent with my awesome work ethic. ;) It most definitely came back to haunt me–to the point of my deciding to step down from my management position–but thankfully it has all (finally) worked out well. To the OP: AaM and fposte both offer excellent insight. I agree with the precedent being set here. This isn’t a fair working condition for the OP and although staying late and being a team member is valuable, if she were more like Mary and left ‘on the dot’, handling only her own clients and work; management would more clearly be able to see the problem with this situation. That being said, if you have brought this issue to your management, on more than one occasion, and nothing is being done, than I would be right beside you in leaving. While I agree that the director needs to push for another person as soon as possible, I would still be quite irritated at Mary. If the OP has to pick up a significant amount of work for Mary’s clients, it does raise the question of just how well Mary is managing them when she is actually there. Mary should be advising her clients about her new schedule, anticipating their requirements and making sure that she’s getting as much as she can done for them within her working hours – and wherever possible, giving the OP handover notes about things she really cannot get done within those hours. Instead, it sounds like she’s taking the “if I’m not here, someone else will do it” approach, which is rather a sloppy attitude to take toward her work, and is totally unfair on the OP. ^ This. Mary may complain that she is sleep deprived, or whatever, but she needs to make it work and find a way if she can’t. Yeah, I hesitate to blame Mary too much because it was, after all, the manager to created this situation. But she ought to be available after hours by phone and she should be making sure clients know about her availability, at least. I am definitely getting the impression from the letter that she is just going home when her time is up and not actively trying to prevent these problems. Maybe not, though. I think there are a lot of assumptions here about Mary’s work ethic that the OP didn’t mention. The issue truly seems to be that management approved reducing one employee’s hours without doing anything to compensate for the lost time in the office and the obviously growing workload. Most of Mary’s work appears to have been officially handed over, and it seems like apart from the occasional urgent after-hours request, the OP’s problem is not with Mary not getting her assigned work done, but rather with the fact that so much of her work HAS been assigned over and there is no way the OP can possibly manage all of it. I guess I wonder why worrying about the actual client load is OP’s problem either. At the end of the day, its going to be management’s problem. Honestly, working 10-12 hour days is still a choice that the OP is making. I know its hard to say to a client, I’m sorry but this will need to wait until tomorrow, but as long you demonstrate that the work can be done, management will not be forced to deal with the fact that there’s a problem. A few calls from clients complaining will likely be more effective than your manager talking to his/her higher ups. You don’t want to look like you are not helping with her work, but that doesn’t mean you can’t help a little less. Try to fit in some of their requests as you can, but if you can’t, simply explain that the group is short-handed and you’ll try to get to it tomorrow or Mary will get to it tomorrow. If they aren’t happy, that’s management’s problem, not yours (but you want to show all the work that was Mary’s that you are doing, which even half of what you are doing sounds like it would be enough). While I can understand you not wanting the group to get a bad rep or have job security issues, it sounds like you have more than enough to do…so I’m not sure why you are worrying about that. Let management worry about it. Hopefully you’ll have a new job by then anyway. The OP needs to give the work back to Mary. Explain to her, “I was glad to help, but you need to take your work back now.” SHE needs to figure out how to make it work with her schedule. Maybe she can suggest to the manager that with her reduced schedule she doesn’t have enough time and needs an assistant. And I would hope that Mary’s pay was adjusted accordingly. Did Mary say to the company that she would be working from home with her reduced hours at the office maybe? I am not getting that impression, however. From the OP’s letter, it would seem that Mary has been officially shifted to part-time status and that her compensation and workload have been officially adjusted to make up for this change. In which case, the OP *can’t* hand Mary “her” work back, because the work is no longer hers. The issue here is not that Mary is shirking her work. The issue is that HR agreed to changing Mary’s work arrangement and did not take into consideration how that would impact the rest of the department. The problem is with HR and needs to be resolved with HR. Trying to push back on Mary, when Mary isn’t at fault and shouldn’t be responsible for doing the same work in half the time or for half the pay either, doesn’t resolve the issue. Delegation of work is solely the responsibility of management. Quit blaming Mary for putting her family first and getting management to agree. The OP is also not responsible for work delegation, and to just hand it back now that Mary is at reduced hours is simply passing the problem on with out fixing it. I agree with previous posters who say that your management is taking advantage of you. As far as I know (IANAL) unless you’re a manager you absolutely must be paid overtime for anything above 40 hours a week, even if your company makes you sign something to the contrary- it’s in the labor laws. If, as an absolute last resort, you can’t come to a good compromise with HR on this, pointing out that it’s in violation of labor laws for you to work that much would probably sway things. Thanks for the responses so far, I will add more at some point. While British labour law does not have a concept of exempt or non-exempt, my contract says ‘Your standard hours will be 9 to 5.30, Monday to Friday. On occasion, due to the demands of the business, you may be required to do additional work’. This is pretty standard, but most people, and most businesses, will regard this ‘additional work’ as meaning around deadlines, in peak season where such a thing exists, and when your co-worker has an appendectomy and needs to be out for three weeks. Not as a general rule. Do you have a labor board or similar in the UK that provides interpretations of vague clauses like “on occasion”? That might be helpful. It sounds as if the OP’s employers are heading for a breach of the Working Time Directive. To be honest most of us sign to opt out of that automatically (mostly as we don’t usually have the culture where it would become a problem. Rarely but sometimes because management get crappy if you don’t). You can however opt back in with three months notice and they have to accept that. We also have stronger firing regulations so if they tried to fire you because you won’t work over 48 hours a week (and don’t severely cover their asses by finding another rocksolid reason) then they will be in serious trouble. Gotcha! Missed that little bit. At best, it’s an employer taking advantage of an employee’s willingness to put up with a bunch of stupid crap, even if it’s not against labor law. Dawn, that’s entirely untrue. OT pay (in the US at least) has little to do with manager v. subordinate. It has to do with exempt v. nonexempt. One of the flags that someone should be classified as exempt is managing folks, but there are many many people who are exempt who do not manage. 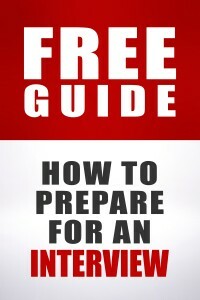 http://www.onlinepayrollguide.com/guide/030108.html for more information. If the OP is exempt (and I suspect he/she is given that they’re a specialist), there is absolutely nothing illegal about what’s going on. It’s not clear to me how long this situation is intended to last. Is the co-worker going to stay on the 10 to 3 schedule indefinitely, until her youngest child leaves for college? Or is the special work schedule only going to last until the baby is twelve months old or so? I’m honestly surprised that they didn’t get a temp to help with this. When I was temping, I’d say that the majority of the jobs I got were either filling in for someone on maternity leave, or doing part-time work to cover gaps due to illness or scheduling problems. Temps expect to come into a new situation and get up to speed quickly, and to leave when the work is done; that’s what they’re hired for. At the very least it would buy the company (and the OP) some breathing room while trying to figure out a long-term solution to the situation. I sympathize with you, OP. I had a similar situation, only I was actually making less money than the other person (she had been with the company longer). It was extremely frustrating because you’re constantly caught between wanting to do a good job but not be taken advantage of. I was working for a small company (just 4 of us in total) so I tried speaking to the owner but he flat-out didn’t care. In my case, she actually got pregnant with a third child and left altogether so I didn’t have too much time to build resentment (and I hadn’t found another job yet!) Good luck. We have a similiar situation here, where a position was redically changed in hours. It deeply hurt staff morale, and could produce some turnover soon. Wasn’t there a discussion not so long ago were AAM suggested going to HR and saying, “All these extra hours and the pressure of doing Mary’s work are making me feel a lot of stress. I am concerned for my health.” — as a way of alerting HR to a potential serious liability and to immediately take notice. Hmmm, I don’t think that was me. This is really an issue for the manager, not HR. I hate companies like this. They’re so eager to seem “family friendly” to a new mother that they’re screwing over every one else. Are we to assume that the OP does not have family? Most people have a spouse or significant other, parents, siblings, in-laws, and/or friends who are closer than siblings, and animal companions. I’m childfree, but I have a husband, parents, a MIL, a sister, a dear best friend who I love more than my actual sister, and two beloved cats and a beloved dog. People have different kinds of families, and we all have responsibilities and obligations that go along with that. Once I had a job where I was happy to fill in once in a while when others were out dealing with their kids appointments or whatever. It was a place where most of us worked until 5:30 or 6:00 most nights, anyway, including me. I assumed that this courtesy would be extended to me. When my MIL was diagnosed with cancer right after my husband started a new job, I needed considerations so that I could take her to chemo treatments and help take care of her. (This was years ago and she has been in remission for five years now!) Basically, I needed to leave a few hours early once a week. This request was deemed unreasonable. If I’d had a kid, I could have counted on flex time and other accomodations, like my coworkers who were parents did. (It was a smaller business, so FMLA did not apply.) When I quit, they were all dismayed and dared to act as if I was letting them down, and my manager and the owner told me that I was their highest performer and that they wanted to keep me as a valued member of their “company family”, but I got a glimpse into the future–and all I could think about was what if something happened to my husband, my parents, or my cats or dog? It was clear that they didn’t care about my family, which seemed decidedly family unfriendly to me. I agree. Just because I don’t have kids doesn’t mean I don’t have other responsibilities that are just as important. I hope you were in a position to tell them this. I was in a similar situation at a previous job. In addition to more flex time being given to a person with school age children, the older employees (early 60s) didn’t have to stay late. The two of us in our late 20s/early 30s and without children were always the ones the extra hours fell to. Thank you for saying this! “Family” can mean a lot of things. Each of our obligations are very important to each of us. It is not fair to be penalized, just because you don’t have children. As for my pets, I try not to even mention my cats. A cat issue at home that can’t wait becomes a “household problem.” I had a friend who got FIRED for asking to go home just one hour early one night to attend to her DYING CAT. No, thanks! There *is* such a thing as work-life balance, and everyone deserves it. Employees should be treated equally regardless if they have family or not. I have heard all too often tales of people getting special treatment for having kids. They chose to have kids, they didn’t have to. So if they have to juggle school plays, day care, and sick children, that was their choice. Me? I spend that time working out, relaxing, cooking, reading, etc. It’s all a choice of how you spend your post-work time, and your employer shouldn’t ever show preference for one use of post-work time vs. another. Has anyone told you lately, your doing a GREAT JOB!!!! I understand the frustration this reader is feeling. Make sure your job is getting done before handling all of Mary’s work. Secondly, rather than complaining about the situation, make sure to try and stay positive and suggest ways of dealing with the work load. A really good book to read is The No Complaining Rule by Jon Gordon. It helps to lift your spirits when you feel like you been walked all over and knocked down. Hmm. I’d be interested to know what the workload distribution was and is like. Now don’t jump on me for this but it’s possible that Mary’s workload was higher to begin with and now that she’s not working full time the workload might be more balanced. I’m surprised at all of the “don’t blame Mary” responses. No, she can’t be blamed for the fact that she asked and HR said yes – even if they shouldn’t have, or at least not so quickly. But if the OP is going to her and saying that she CANNOT do all the work and Mary’s response is, “My hours are shorter now” – that sounds like a pretty crappy response to me. It appears that Mary doesn’t care that her coworker has had to take up all the slack for her new schedule, and Mary *must* know how much more of a burden she has placed upon her co-worker. The OP absolutely has a right to be irritated with Mary, as far as I’m concerned. I can see the argument for this, but while Mary’s role might be irritating, the employer still has ultimate responsibility. That said, it also depends on how Mary is responding. I think it could be reasonable for her to say, “I’m sympathetic and wish I could help, but I have this new arrangement that I’m committed to stick to for my family. They should really be getting you more help though, and I’m baffled that they’re not.” (Because ultimately, Mary is responsible for negotiating her own arrangement with the employer and the OP is responsible for hers.) But if she’s not taking some obvious steps that would make the OP’s life easier, then yes, she’s at fault too. To play devil’s advocate, I think Mary should stick to her guns regarding her new hours. If she agrees to put in a little extra time (like most of us do) to help out the OP, what’s the point of her new part-time arrangement? She might as well go back to full-time and try to sneak out a little early. Exactly. Especially if she’s working for reduced pay. I agree. Frankly, I think the people here who think that Mary should put her her coworker above her family obligations probably are frustrated that they are having problems achieving work life balance. Kudos to her for sorting out her values and taking action. If she didn’t stick to her guns, she could just as easily be writing a letter to AaM complaining that her company isn’t sticking to the new schedule they set for her. Burying her head in the sand and being a flash out of the door on the spot aren’t helping. Her attitude, from the OP’s letter, seems really cavalier. So is there anything Mary could have done to help prevent her co-worker from being in this situation? I am expecting my first child in the spring. I had planned to resign from my job and stay home, since I didn’t want to continue working full time, and I honestly didn’t think it would be fair to ask my employer to go out of their way to accommodate my lifestyle change just because I become a parent. But when I gave my notice, the Director asked me to consider a part-time schedule that would allow my partner and I to avoid putting the baby in day care (which was the primary reason I wanted to stay home- childcare options are fairly limited where I live). I was beyond delighted and accepted immediately. We’ve worked out a trial schedule for when I return from leave, and have started discussing how some of my duties will be reassigned. But even with our foresight and planning, I’m afriad it will be a rocky transition. Though I never felt entitled to a family-friendly accommodation, it doesn’t change the fact that it will inevitably have an impact on my coworkers. Is there anything I can do to make the transition go more smoothly for everyone? Or to ease the burden on my colleagues? What could Mary have done better? It sounds to me that at least part of the OP’s problem is that Mary is downing tools at three and leaving, regardless of whether her work is actually done, and that it isn’t that kind of job. The work itself seems more the kind of setup where, at some point, you think to yourself : OK, the Jenkinson report is due on Friday so I can leave it to finish tomorrow, but I need to get the Smith review in to Superboss for him to check and sign off on. And since you need to get the Smith review in, if that involves you staying til 5.30 instead of 5 – well, that is what you have to do. Unless you’re an hourly employee, not salaried, in which case you legally CAN’T stay until 5:30. If she’s part-time, then staying later on some days is not going to result in overtime or any FLSA violations. Except it’s likely that she has to leave at bang on 3 to collect from childcare or similar, and genuinely doesn’t have the option to stay that extra half hour. I cannot agree more. 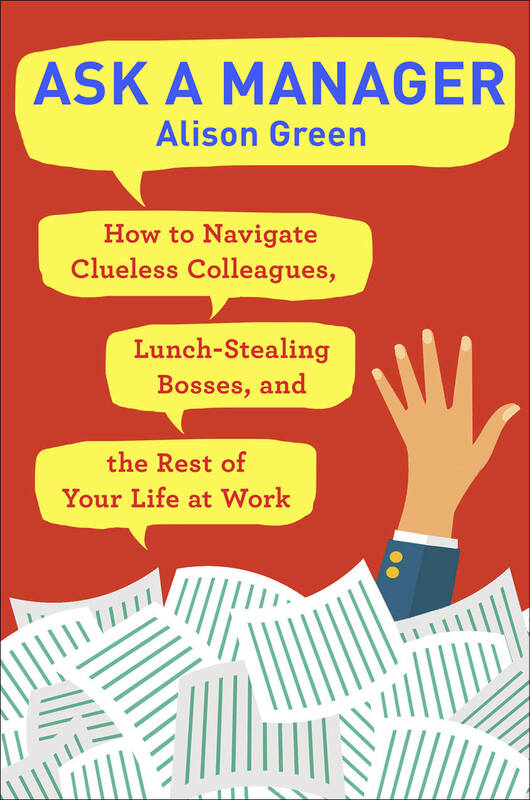 Too many managers/directors/VPs don’t know how to manage the workload to employee ratio, and it’s the employee with the strong work ethic who tries to pick up the slack who pays for it. I also complete agree with the first commentor (Adam V), and everyone else who commented about this Catch-22. Been there, done that, and have seen it happen over and over. I feel the OP’s pain. My direct report has been on extended sick leave and I’ve been doing her job and mine for almost 8 months. We can’t hire anyone for at least another two months. I’ve been honest with my boss about what’s falling through the cracks. She’s sympathethic, and has helped me say ‘no’ to some things, but there isn’t really anything that can be done right now. I’m on salary, so I can’t get paid overtime. But I’ve been working many, many more hours than some of the other salaried people at my work and it’s starting to get to me–the work is one thing, but the worst is the feeling that my co-workers aren’t cutting me any slack and don’t understand how pressed I am, all day, every day. The others who assign our floating duties haven’t cut me out of any of those–I’m still expected to cover all the bases I did before. I’ve started shutting my door because they still show up to chat, etc.I’m starting to feel resentful when I see them leave at five and I’ve got at least two hours of work left to do–unless I let it pile up and come in on the weekend, which cuts into family time. I’ve quit volunteering for any of the fun stuff that I used to get to do at work. It’s 50 hours a week of putting out fires. I hope to hang in there and end up ‘venting’ on someone–but I feel it coming some days. It seems to me that “go to your boss with some options” should also apply to the OP here. What I would say is: “Given the lack of manpower with Mary’s hours reduced, we now have to choose between (a) turning some clients away, in which case please decide which ones, (b) giving all clients equally shoddy service and wait for enough of them to defect to our competitors to make the situation workable, (c) hiring some extra help, or (d) letting me work myself into a burnout where I would choose to flip burgers or sweep streets over staying here. I’m aware that option (c) will entail extra work while we recruit and train someone, but hopefully knowing there’s light at the end of the tunnel will help me cope. And by the way, I expect that the extra hours I work during recruiting-and-training will add up to a nice paid vacation in about half a year’s time”. To be greeted by an exasperated “Use your initiative”. Only to do so and be told off! Yup. That happens a lot. This OP DID talk to her boss, and it looks like the boss DID try to go to bat for her (or him?) but HR and upper management just don’t care. Except that HOW the boss goes to bat on this stuff really matters. If the boss just says “we need more manpower” and doesn’t give a compelling, persuasive explanation of why, that might produce no results. 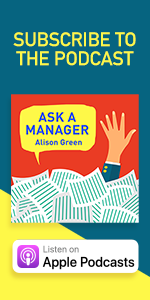 A really good manager will be able to give a clear, persuasive argument for this kind of thing, and leave her audience absolutely convinced that it’s in the best interest of the business to say yes. But I’d say only half of all managers (at most) approach things that way. Didn’t mean to hijack a thread–sorry! I was very frustrated yesterday. I have told my boss about what’s not getting done and she says it’s OK, but you all know how stuff like that comes back. A co-worker asks about it and you feel terrible saying ‘I know that needs to be done–I just don’t have time’ etc. Or you think someone outside your dept. who doesn’t know the situation will think you’re a slacker when they see something that needs doing. I have asked my boss about the floating duties and she’s unsympathetic to that. Her answer is just that they must be done and we have x people to do them so you have to do your share. This is all complicated by the fact that I’m two years into the tenure track, so the amount of pushing back I can do is limited. I did ask her yesterday about extra vacation time when this is all over and I think I will get that. I think I just have to hang in there and not be defensive inside or out about the tasks that aren’t happening right now. Tenure-track can be scary, because you sense you’ll be blamed even when you’re doing your best. Thanks! Wow. I am in the same situation. I could have written your post myself, word for word. “Yes, that is true. YOU (Mary) need to work with our manager to find a solution for your reduced schedule. I am already fully tasked. ” Keep reiterating to Mary that SHE (not you) is responsible for working with management to find the solution to her reduced schedule. If she were truly shouldering her load, she would have worked with your manager to decide what tasks would be worked and which ones would slide. Instead, she abdicated her responsibility and dumped the whole thing on you. No wonder you are annoyed! Set up some boundaries, my dear. Stand firm. Be cheerfully willing to help management out wtih this, but let Mary know that it is HER problem to deal with. I think you’re making a good point here. We’ve been kind of talking as if Mary is entirely gone, but she’s actually still part of the team, and the team’s inability to meet goals isn’t just the OP’s problem. It isn’t the OP’s problem at all, actually. It is an issue that arose because of Mary’s request for part time status. The OP may be part of the solution but it isn’t the OPs to work.. Mary and management aren’t handling this because they aren’t facing any consequences. The OP is taking the entire burden for someone else’s problem. Why would they do anything about it? That is why the OP needs to push it back on them for resolution. It won’t get fixed otherwise. The real issue is Mary’s expectation that the OP take responsibility for the slack even though the OP never agreed to it. It’s pretty disrespectful and shows a callous disregard for others. +1 This. I’m glad someone mentioned this. While it is totally acceptable to be overburdened for a small period of time and know that “this too shall pass,” it is not remotely acceptable for the overburdened period to extend indefinitely. For some jobs, the latter is actually the norm, but in exchange for the workload/schedule, you are given a salary and benefits package to compensate. For Mary to feel that she can just disappear at 3 on the nose with nary a backward glance in the OP’s direction is not only callous and lacking compassion, but it also smacks of unprofessionalism via poor sense of teamwork. This sort of attitude does need to be corrected by the manager, or at the very least brought to his/her attention. The piece of advice I would add to what has already been proffered here would be to do your best to keep a cool head. Thick skins are most useful in situations like this. When this is resolved (which it will be), you’ll be far more respected if you have successfully remained cheerfully accommodating to finding a solution while also politely standing up for yourself. Attitude matters, almost moreso in tense situations like this one, so keep your chin up and smile. We’re rooting for you! @ Engineer Girl ~ This is exactly what I was thinking! This! Thank you. You articulated exactly what was bugging me about this question. 3) Things that didn’t get finished got summarized in an email to coworker, cc’d to supervisor, so she would know what to start with the next day. 4) Warned supervisor repeatedly that eventually, something would slip. Hopefully not a big thing, but when it finally did happen yep it was a biggish thing. Supervisor agreed this had been coming for some time and it was no one’s fault but her own. New person hired shortly after that. Rather proud I kept all the balls in the air for almost three years! 5) Last, and most importantly, I kept in mind that this>> . yeah that dot is my job, magnified a billion times. It is not real life. Keep your perspective and smile. You have a job. It’s bad right now but it will get better. Or you will and you’ll get another job! The only option I see is to get out ASAP. Your company obviously doesn’t care what it’s doing to you or your family, it only wants to give the appearance of being family-friendly. If you continue to work yourself to the bone, you’ll be disgruntled and eventually be unable to hide it and you’ll probably leave on bad terms. On the other hand, if you focus on your clients and leave at a reasonable hour and let Mary’s work go undone, you’ll look like you’re not being a team player, not stepping up when needed, you’ll probably get docked on your review and you’ll end up leaving on bad terms. So, get out now while you can still get a good recommendation. Would a job share arrangement work? Mary and a new part -timer to share the fulltime load. That would keep flexibility for Mary and allow all clients to be serviced without overloading the OP. Management has allowed Bob to become very part-time, basically to the point where it is ridiculous to have him on payroll. Someone else could take his hours and earn a little more during the week. But she works those few hours. Where the problems lies is that he has given a schedule of when he can and can’t work, and management acts like it’ll be the end of the world if they ask him to come in on days he says he can’t be there. Then, on top of it, Bob takes off those days like crazy – all with permission of management. While people say I should be angry at management – yes I am. I think there should be some discipline for all employees. And I know some think I shouldn’t be angry at him, but when he has such a cavalier, a word another commenter used, attitude about how his schedule affects others, I think that is something to be upset about. It might be affecting the OP’s life; I know this is for me. Can you point out to your manager that Bob’s other job is taking precedence over everything and that it’s impacting the team’s effectiveness? This is an older post – and I haven’t read all the comments – but I have a Mary – let’s call him Joe. Joe is part-time, 20 hours a week, I am full-time, 40 hours a week. Joe gets paid more than I do. Who do you think got all of Joe’s work when he left – me. How much does Joe actually work – 10-15 hours, if that. There is no HR, there is just an owner. The owner REALLY VALUES Joe (and incorrectly assumes I have no idea Joe gets paid more than I do). I like my job, for the most part, but I am really wondering what the heck the owner is thinking. Also, I am feeling like a dope for continuing to work here and get paid less than Joe who works half the time.